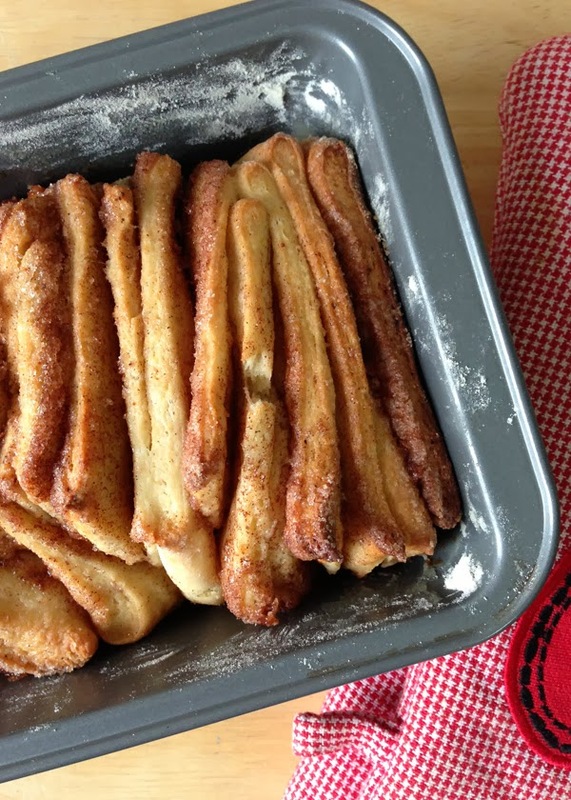 I made this delicious recipe for cinnamon pull-apart bread a couple of weeks ago, and it was a huge hit at our house and at my in-laws -- I brought it along with us for as snack as we were watching a football game. Next time I would sprinkle a little more of cinnamon and sugar mixture all over it because I found that there was not enough in a few places. If you like these recipes, check out some others that I've got on my Pinterest board called "In The Kitchen". I've been having a lot of fun trying out several of the recipes on there lately, but these two were my favourite.